The Gold Coast SUNS can confirm the final dates of the remaining AFLW Talent ID days have been locked in. The Gold Coast date has been set for Sunday 7 April at the Austworld Centre with invitations to be sent out to successful applicants in the lead up to the day. The SUNS will then travel to Cairns on Saturday 4 May for their testing day before Townsville on Saturday 15 June in line with the AFL Round 13 clash with St Kilda on the same day at Riverway Stadium. SUNS Head of Women’s Football Fiona McLarty said after the success of the first two testing days she was excited to see what the other regions could offer. “We had great turnouts to our Mackay and Lismore Talent ID days so we’re hoping to see plenty more at our remaining days in Cairns, Townsville and on the Gold Coast,” McLarty said. “Both the Gold Coast and North Queensland regions are extremely important to the club for our list build and talent academies so it will be exciting to see a good mix of athletes from these areas. The club is looking for expressions of interest, particularly from cross-code athletes who want to give AFL football a shot. 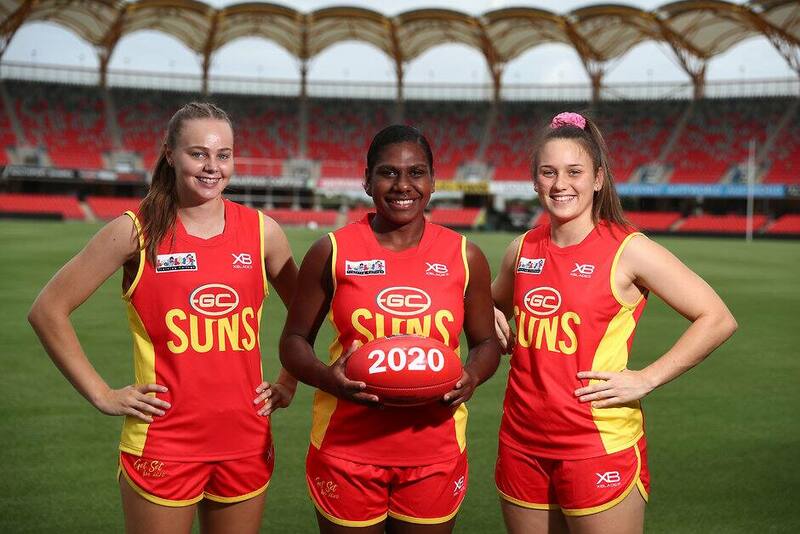 Players who impress during the talent ID days will also be in consideration to represent the SUNS during the 2019 QW Winter Series as preparation for the 2020 AFLW season.